Darling it’s better down where it’s wetter. Take it from Aquaman, the half-human Atlantean monarch who’s fighting for his crown in today’s massive edition to Daybreak’s long-running superhero MMO. Man, what took the game so long to get wet? 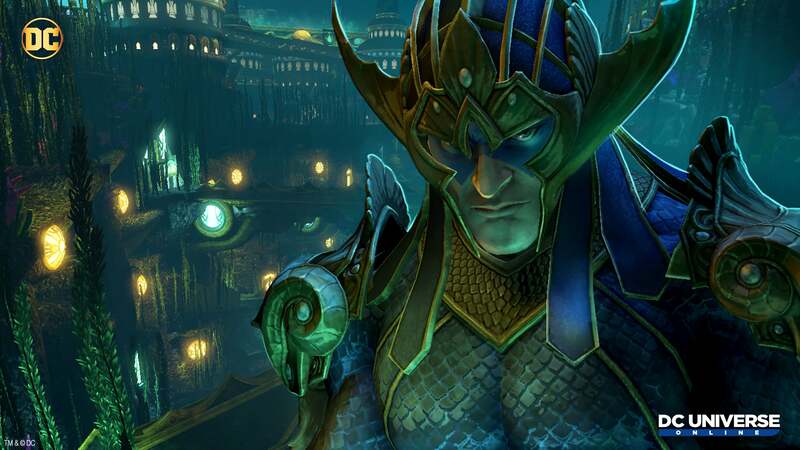 One of the earliest missions I remember in DC Universe Online when it launched back in 2011 gave players a tiny taste of Atlantis, but the short adventure merely teased something much more grand. Today’s expansion is the full-on Atlantis experience. Players will explore a living, gill-breathing underwater world, with brand-new lighting effects to set the mood. Combat has been tweaked so it doesn’t feel just like fighting on land. Best of all, the expansion introduces swimming, because otherwise the ocean would be full of bloated spandex-clad corpses. Along with places to go, the Atlantis update also includes things to do. A slew of new missions will take players through the streets of of the city and into the throne room. New raids pit large groups against giant sea creatures and the vile Corum Rath, who has designs on the throne. Yeah, someone trying to take over Atlantis is the go-to Aquaman plotline, but DC Universe Online hasn’t gone to it yet, so it’s new here. The Atlantis expansion is now available in DC Universe Online for the Xbox One, PlayStation 4 and PC. It’s free, like a fish-communing superhero swimming the vast ocean.